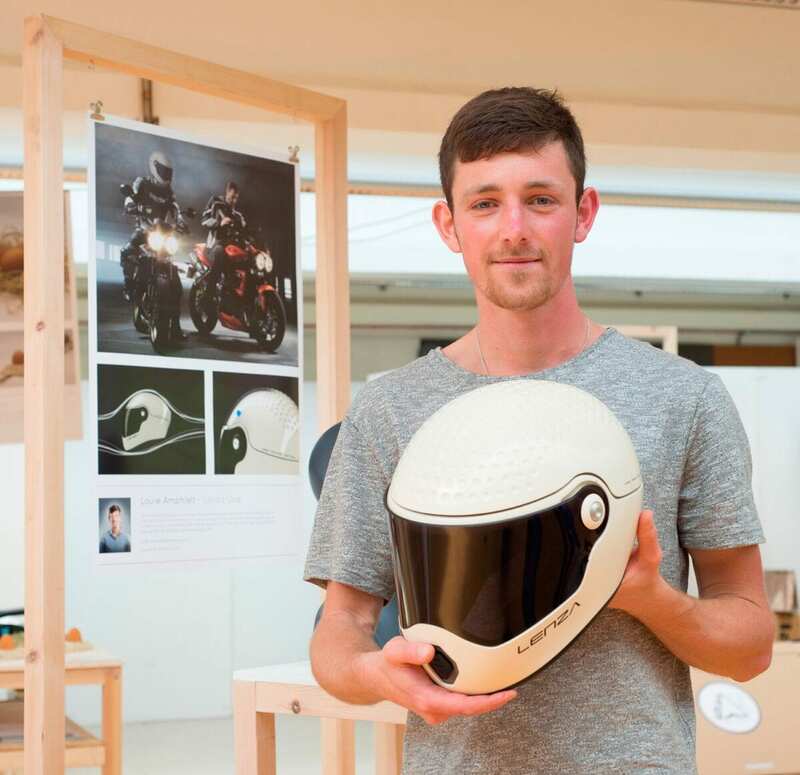 A university graduate has designed a lid that promises to significantly reduce wind noise. 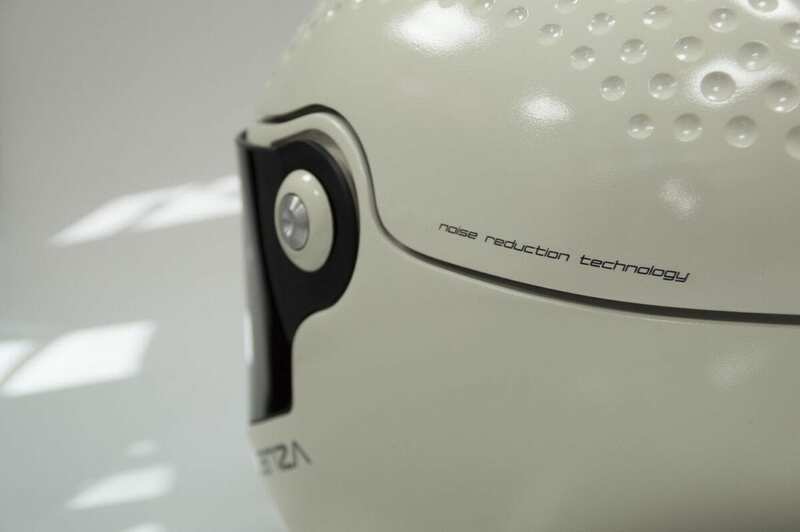 A new motorbike helmet has been designed with the aim of reducing the wind noise that experts believe may damage many riders hearing. 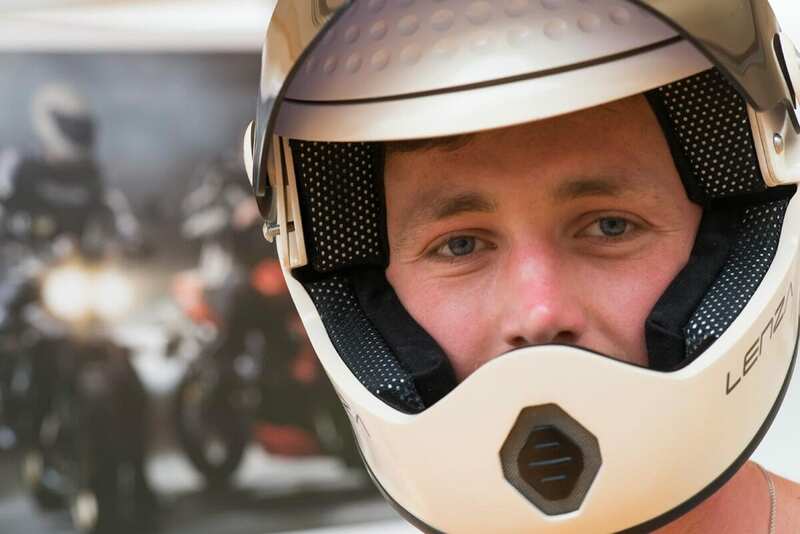 University of Brighton graduate Louie Amphlett studied aerocoustic research that suggests that wind flow over a biker’s lid causes noise which, for those who ride for extensive periods and speeds of more than 50mph – including police and couriers – may be the cause of significant hearing problems. 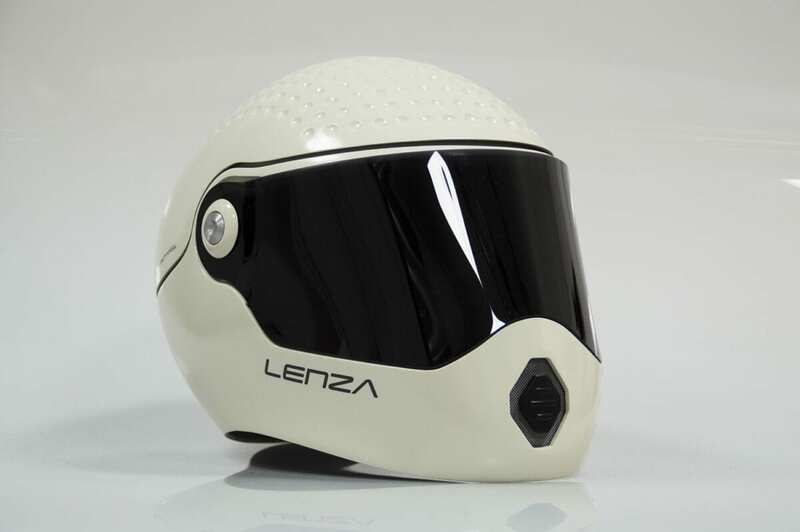 His ‘Lenza One’ helmet uses three methods to reduce noise: a suspended shell which absorbs vibrations, thus allowing less noise to reach the skull; a dimpled finish – similar to a golf ball – that reduces drag and vibrations; and a more aerodynamic cone shape design to reduce wake, cutting turbulence and noise. 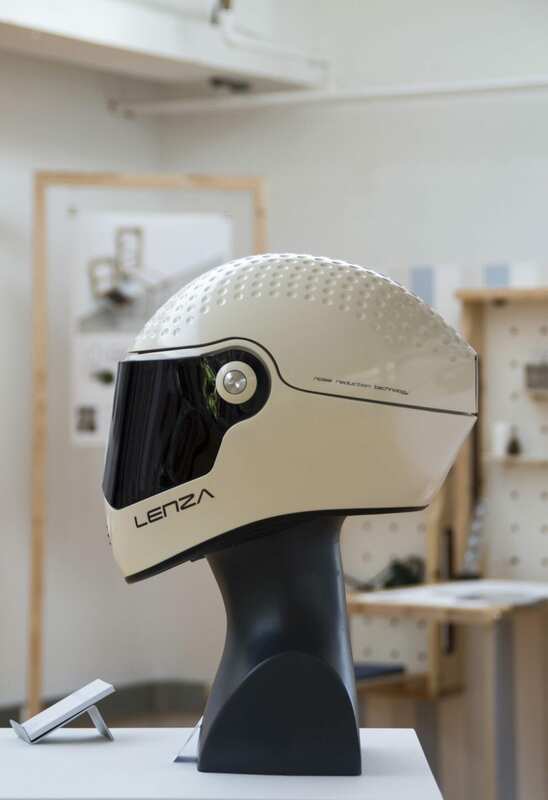 “The design uses a ‘cushioned cap’ on the top of the helmet, mounted to soft-compound resin mount points. This suspension enables a degree of vibration absorption which actively reduces the random pressure fluctuations on the surface. These fluctuations are vibrations sent through the structure of the helmet, through the rider’s skull and to the mastoid bone, causing the most significant level of damage; research published by Michael Carley et al led me to these conclusions. The dimples and the elongated form enable a reduction of wake (turbulent flow) at the rear of the helmet – this again is a key source of noise. The dimples and shape also have aerodynamic benefits. My father has been riding bikes for the last 35 years and suffers from poor hearing. 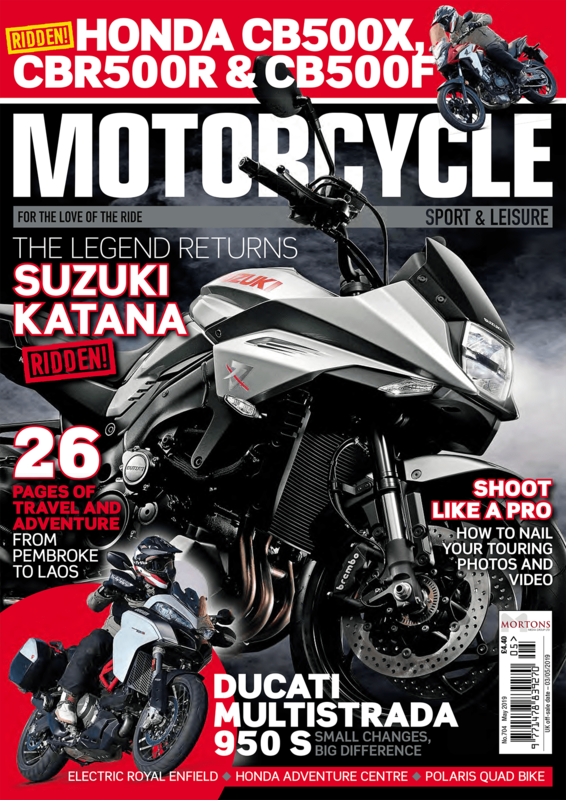 I ride too, and understand the issue of noise while on a bike – it was my love for motorcycles that prompted me to focus on this area for my final year degree project. After researching the subject, I found that wind noise causes the most significant level of hearing damage while riding at speed. What testing have you been able to do? I have performed a couple of primitive tests in the wind tunnel, however more precise measurement techniques are required to determine the extent to which the helmet will reduce noise. I also performed a computational fluid dynamics study, which focused on the aerodynamic factor; it resulted in a 7.7% reduction in turbulent flow at the rear of the helmet in comparison with a market-leading lid. Do you foresee any implications with impact protection? 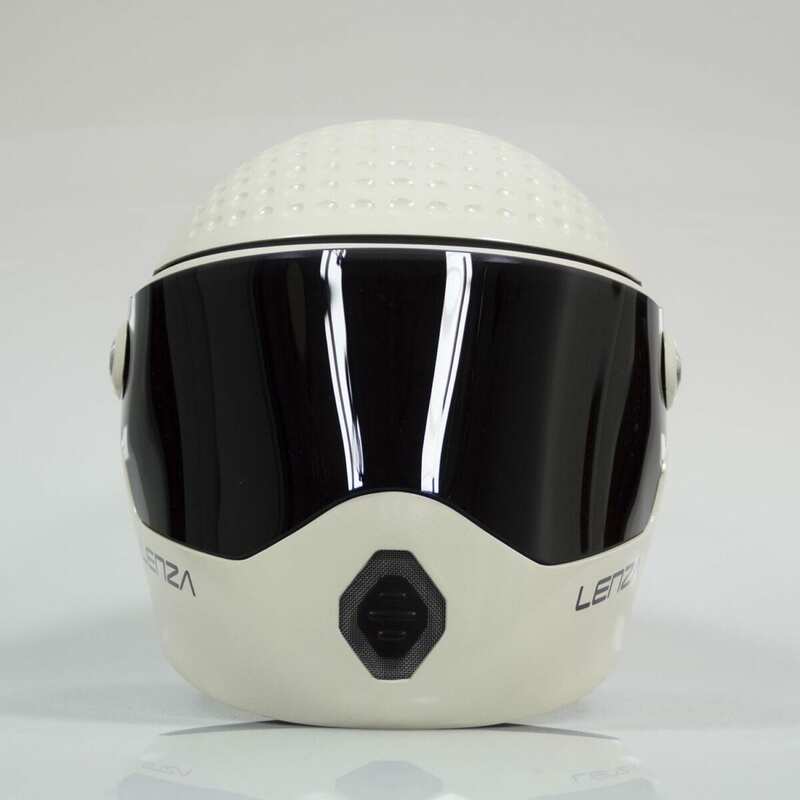 The helmet’s shell is recessed as part of the floating design, so no compromise is made to the level of impact absorption. It would in fact increase absorption properties due to the suspended shell.